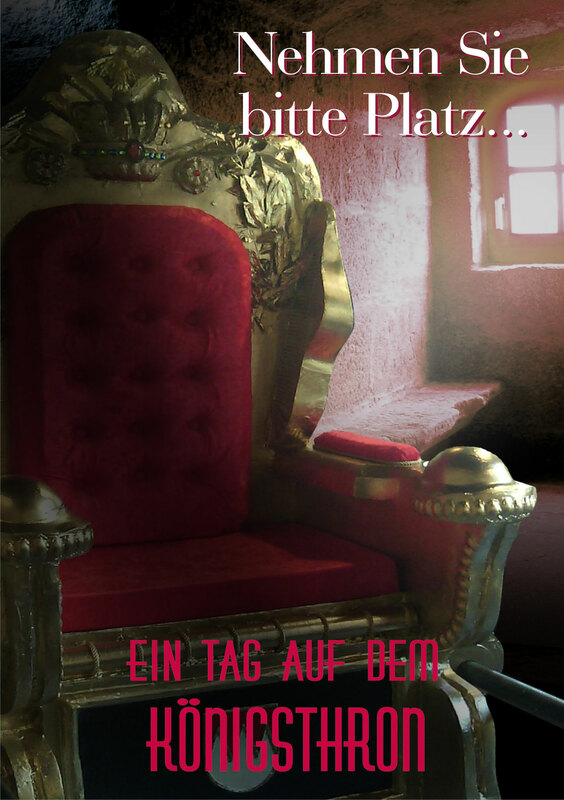 The longing for an encounter that can change your life... - quelledergnades Webseite! 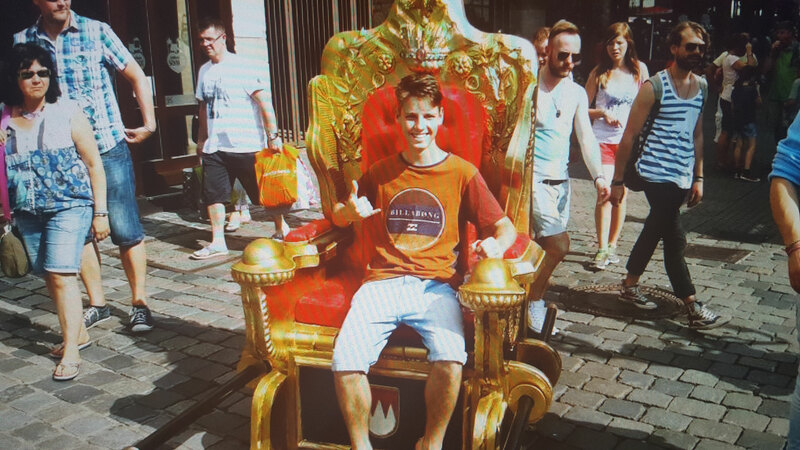 In July 2014 I had to fly back to Argentina. 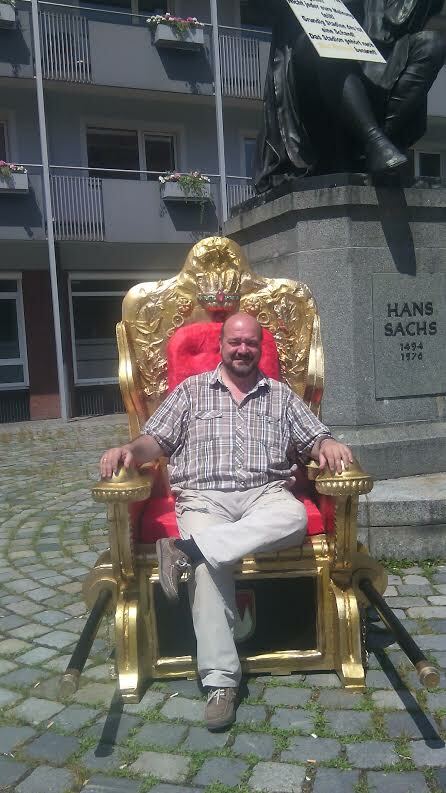 A brother asked me: "Horacio, what are you going to do in september when you come back to Germany?" 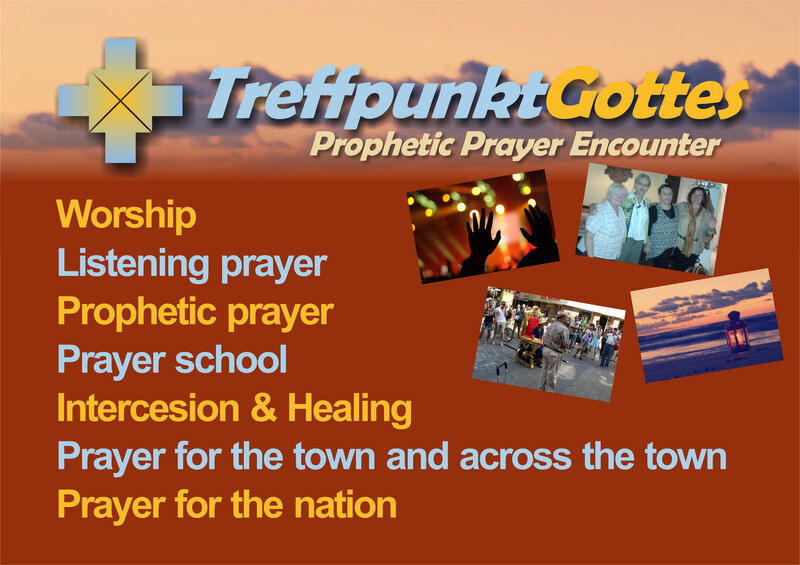 The anwser came so fast: "I want to start a prophetic prayer group..."
And Treffpunkt Gottes was born as a practical and didactical prophetic expression of the prophetic ministry Quelle der Gnade (Spring of grace). 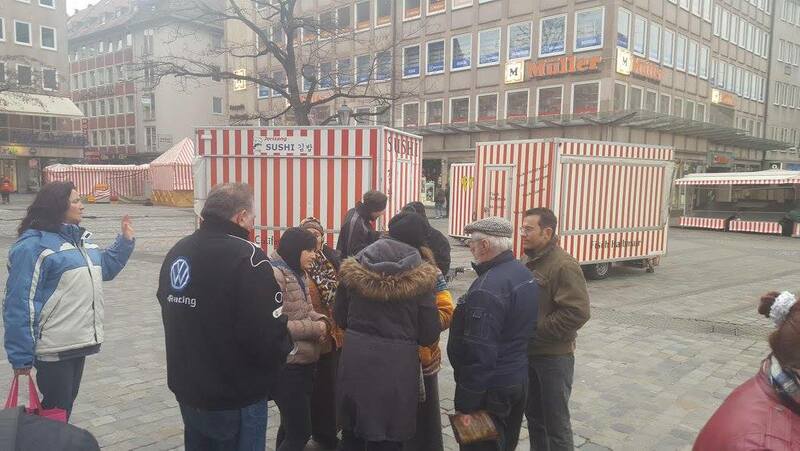 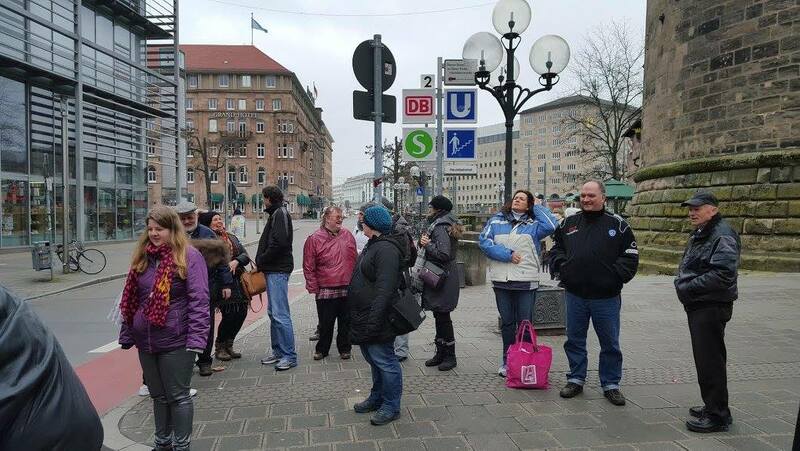 With basis on Nürnberg but activ all over Germany. 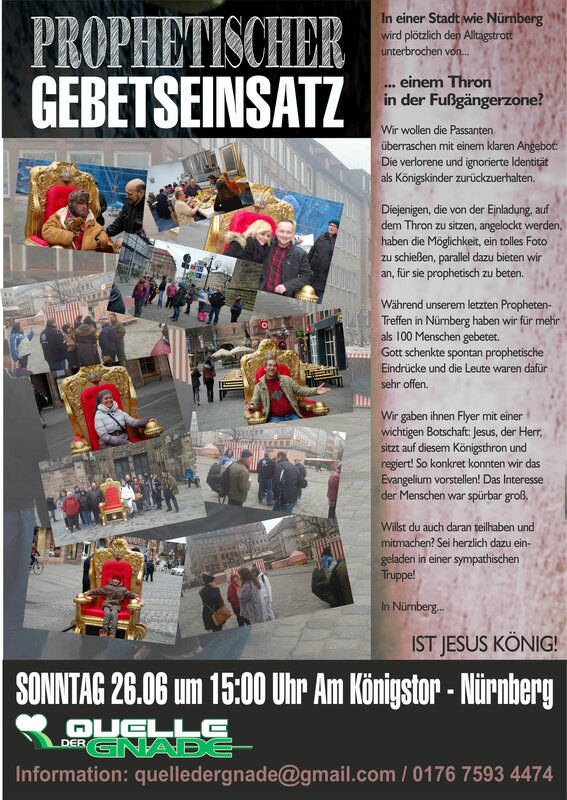 Treffpunkt Gottes is a prophetc prayer group that does not depend on any religious institution or organisation. 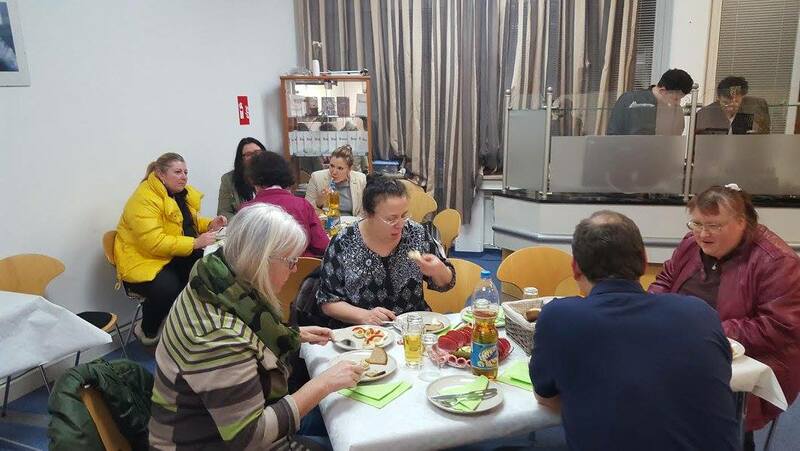 We pray for each other and for other people in their needs. 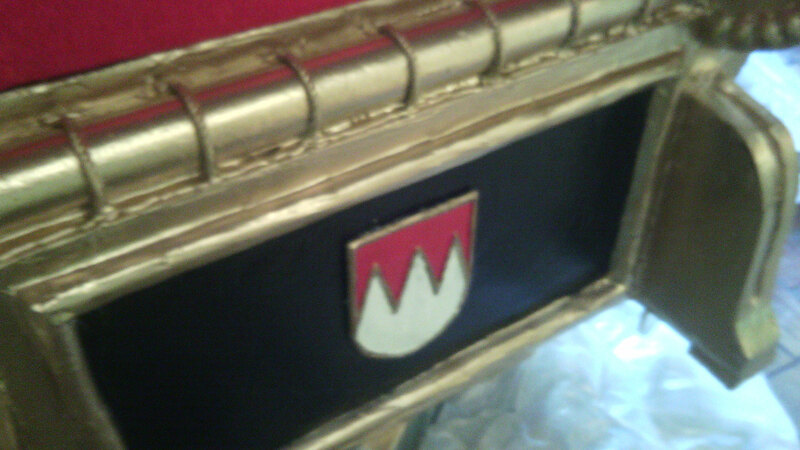 We pray for our city and for our nation as a priority. 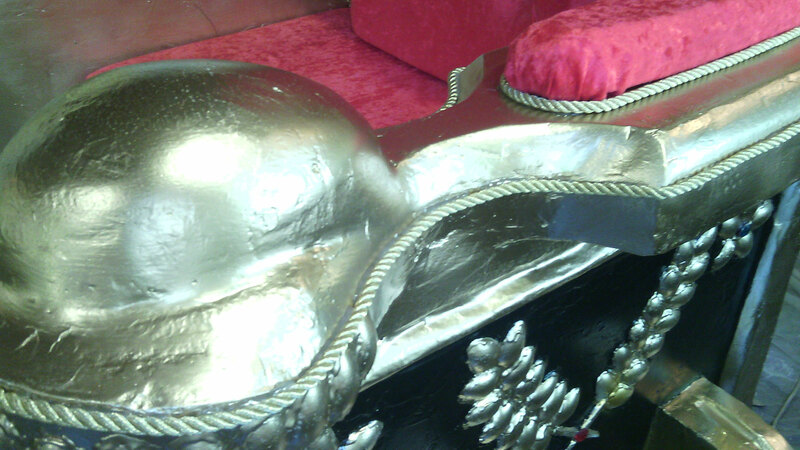 We train christians in the exercise of prophetic gifts that the Holy Spirit impated to them. 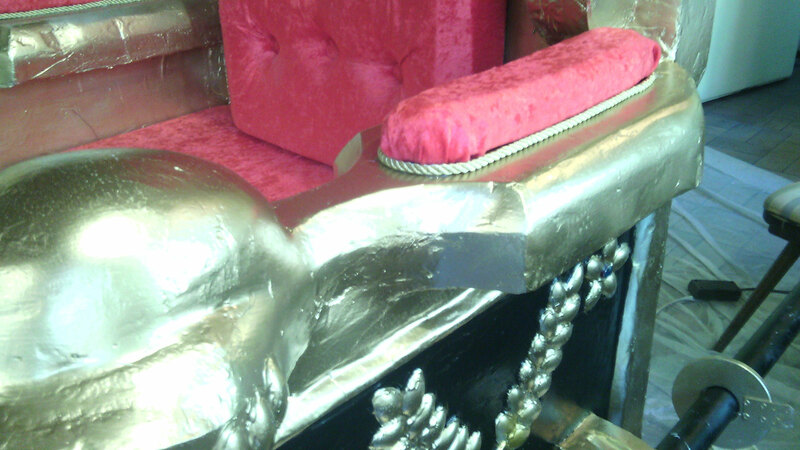 We offer biblical orientation than can challenged the normal day life. 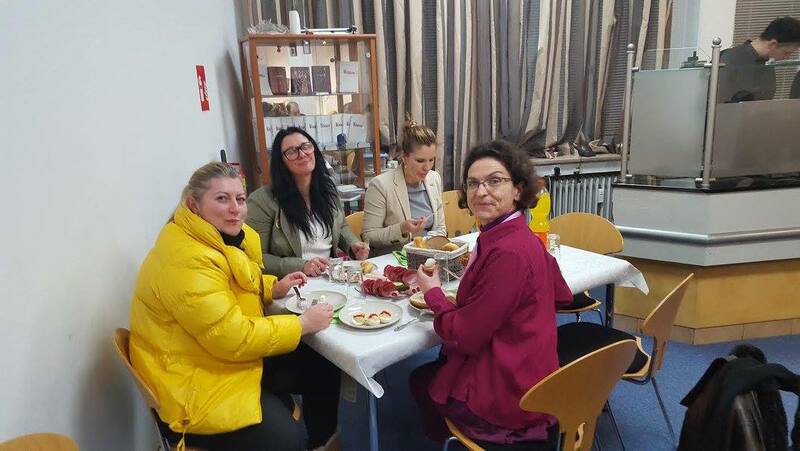 Our meeting have nothing to do with mistical practices or false spirituality. 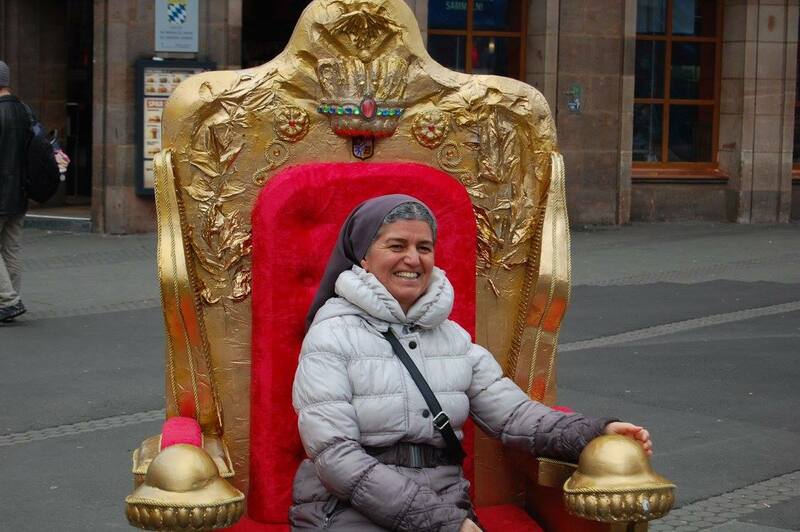 We do not use elements that may cause confussion by mixing faith on Jesus and on his Word with weird philosophies or religious tendences. 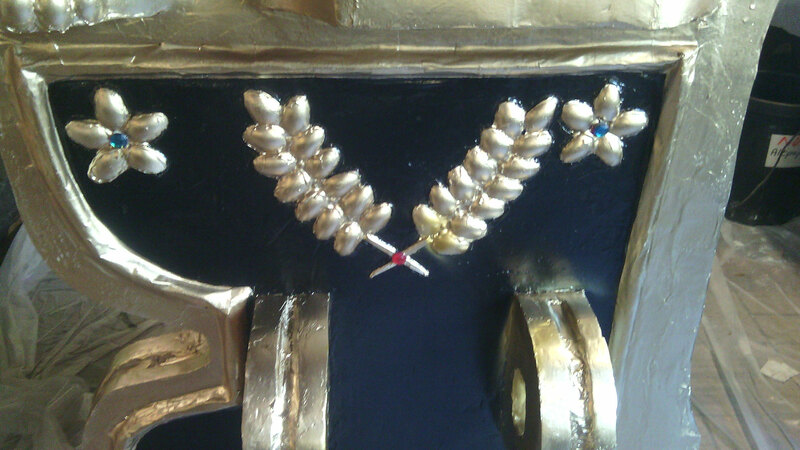 We want to practice prayer according to the Holy Scriptures. 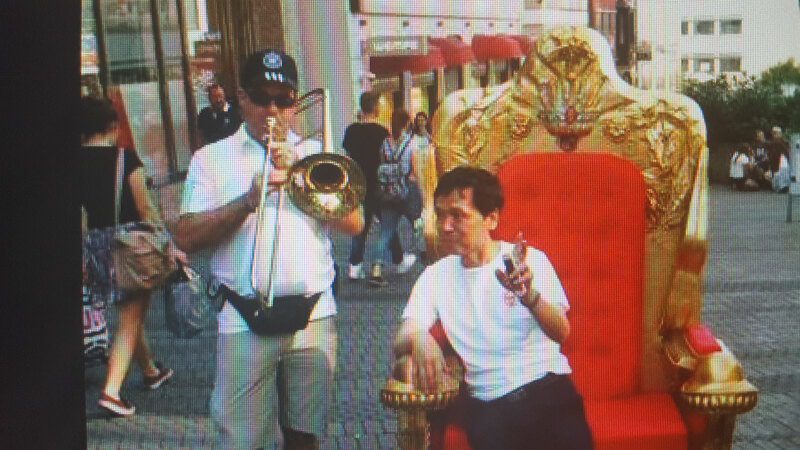 We play music and make art in any possible creative expression and we shcare in communion spontaneusly and in the freedom of the Holy Spirit. 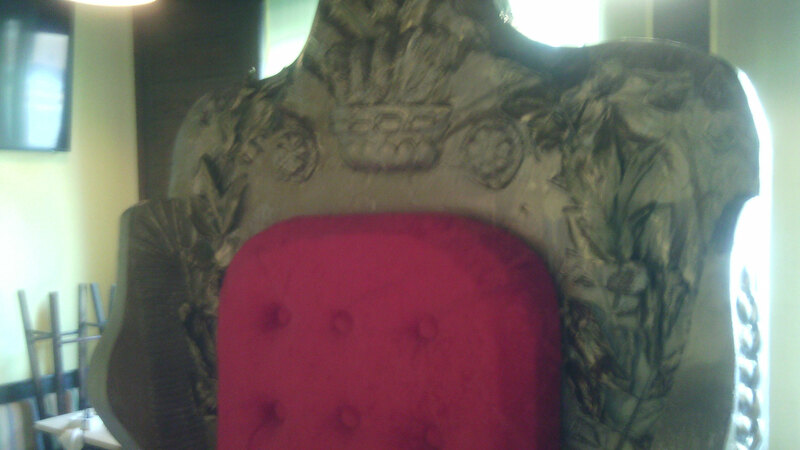 We want to be inspired by the presence of God. 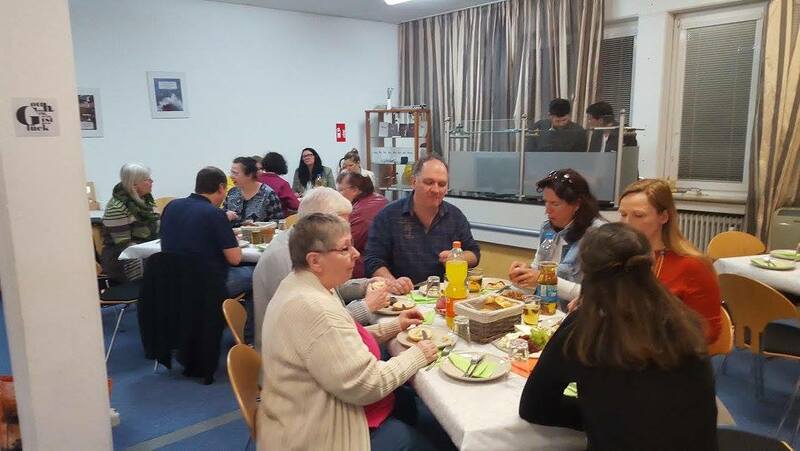 We offer regulary seminaries and wokrshops with biblical fundaments not only in Nürnberg but also all over Germany and in other countries. 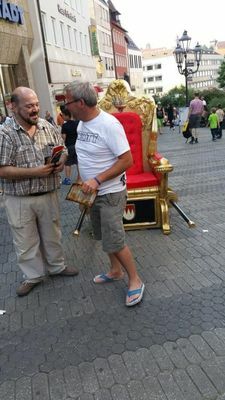 The contents have been learnt for many years in Argentina, Uruguay and Barzil through the prophetic ministry Quelle der Gnade (Spring of grace). 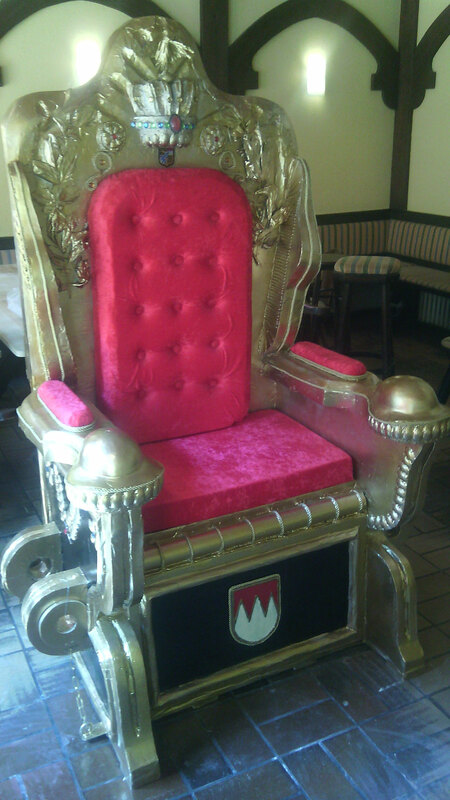 We are glad to receive you in our meetings. 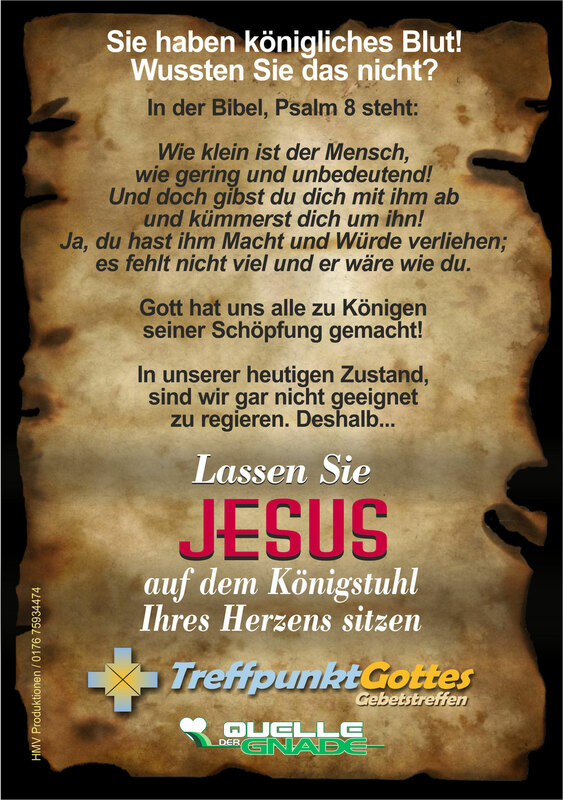 Treffpunkt-Gottes por Horacio Marcelo Valera Cucinelli se distribuye bajo una Licencia Creative Commons Atribución-NoComercial-SinDerivar 4.0 Internacional. 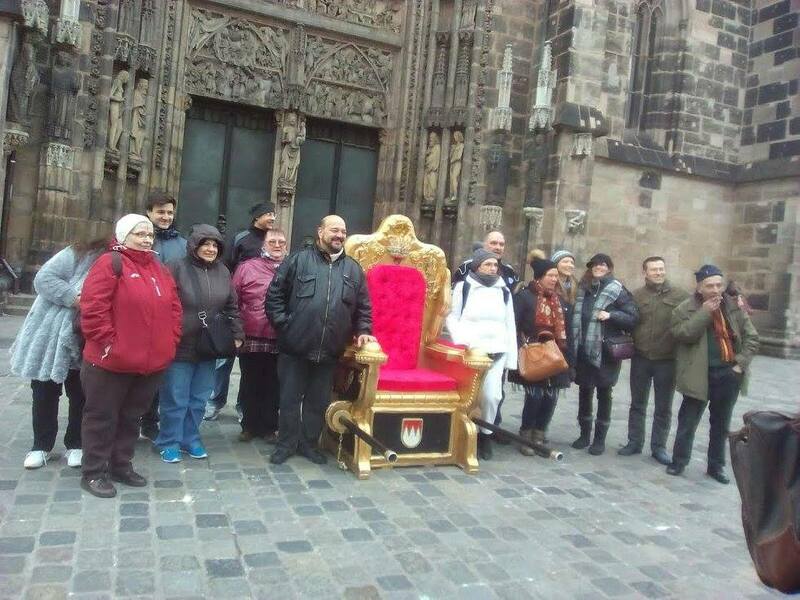 Basada en una obra en https://www.quelledergnade.de/deutsch/treffpunkt-gottes/. 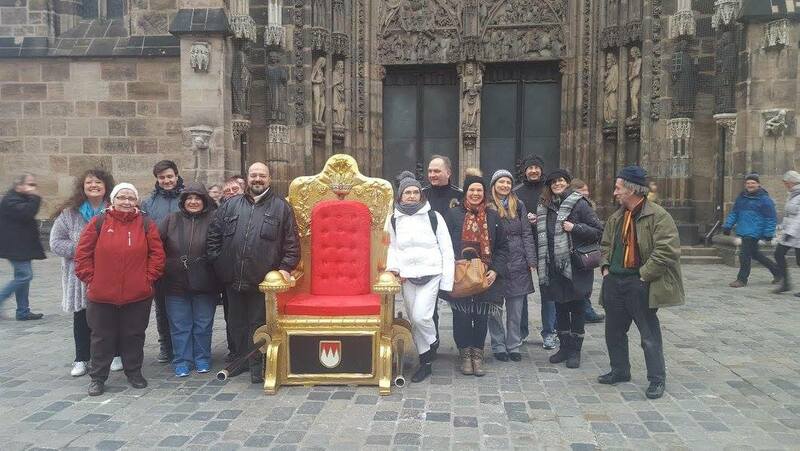 We were present in the international conference "Awakening Europe" in July 2015. 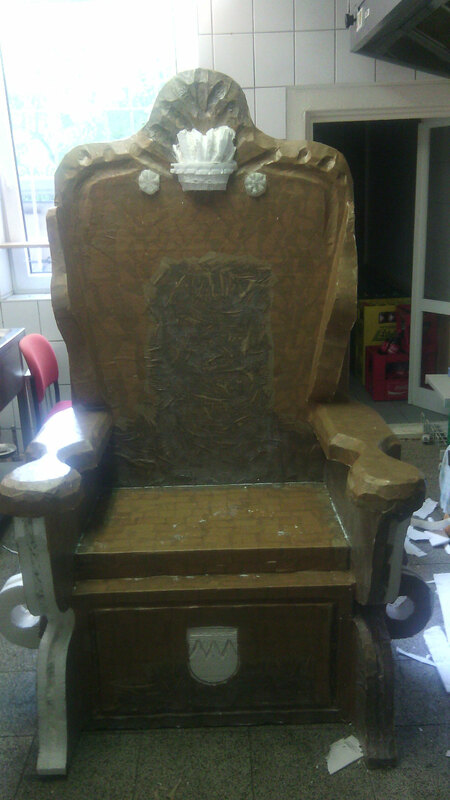 On saturday 11th. 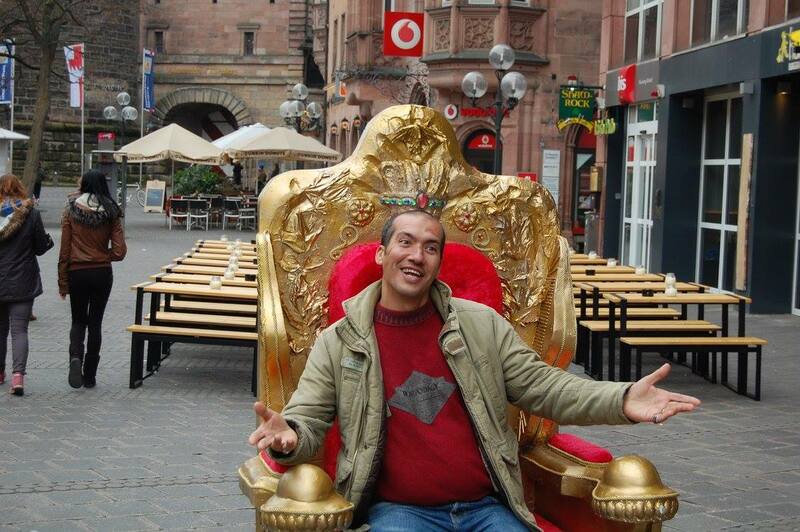 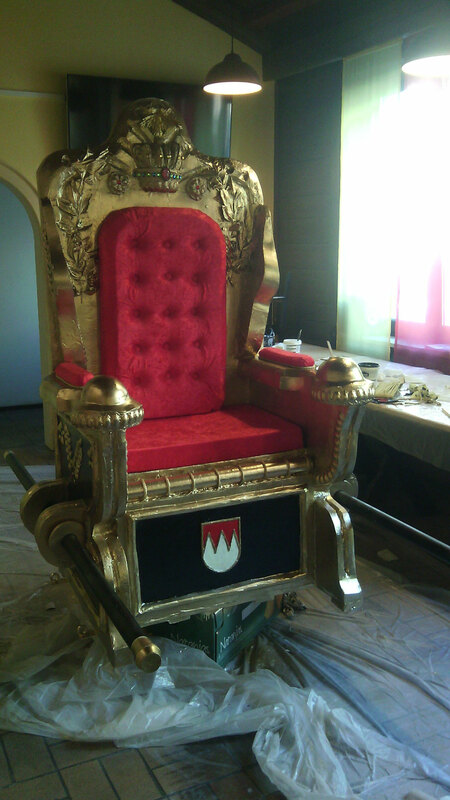 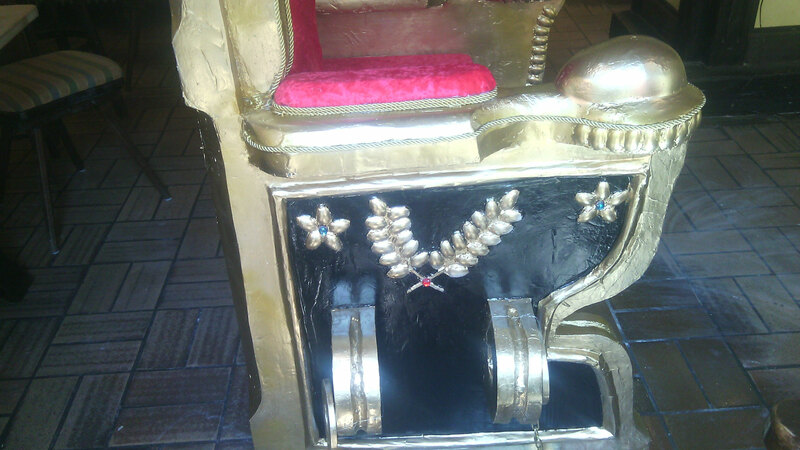 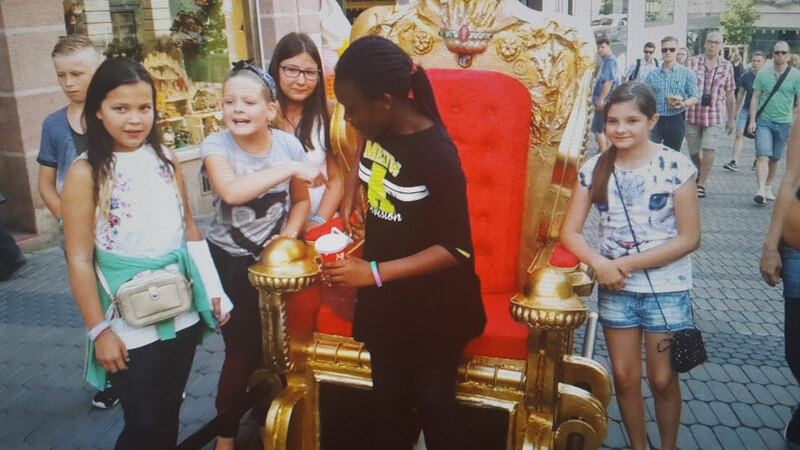 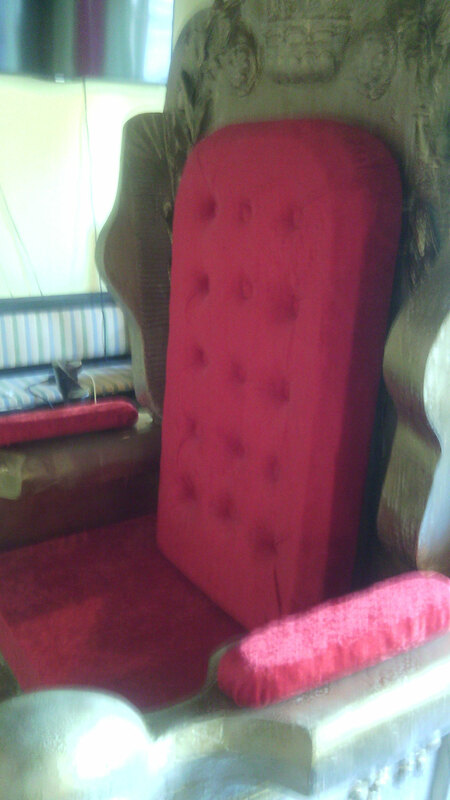 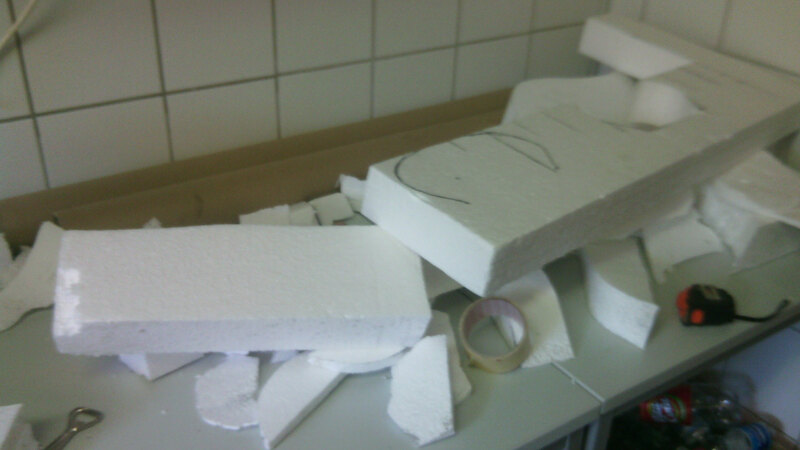 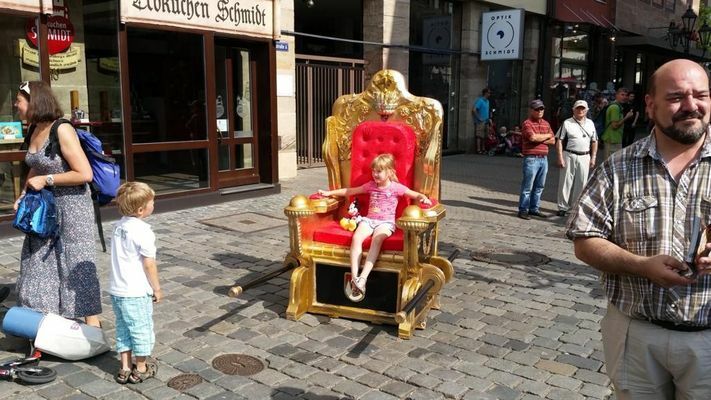 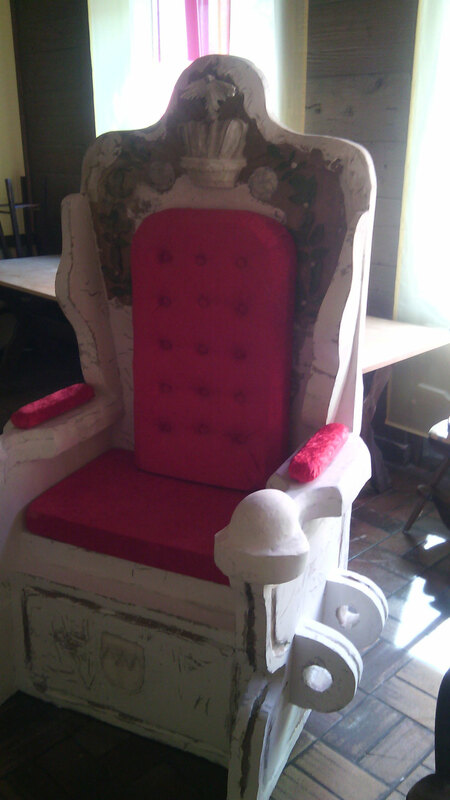 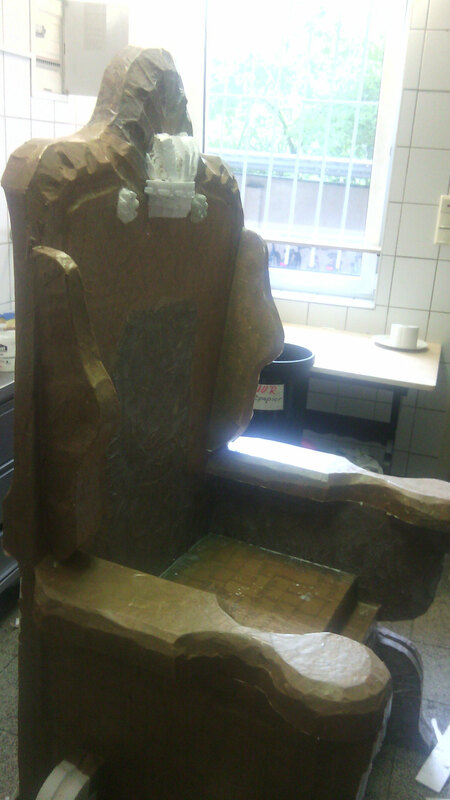 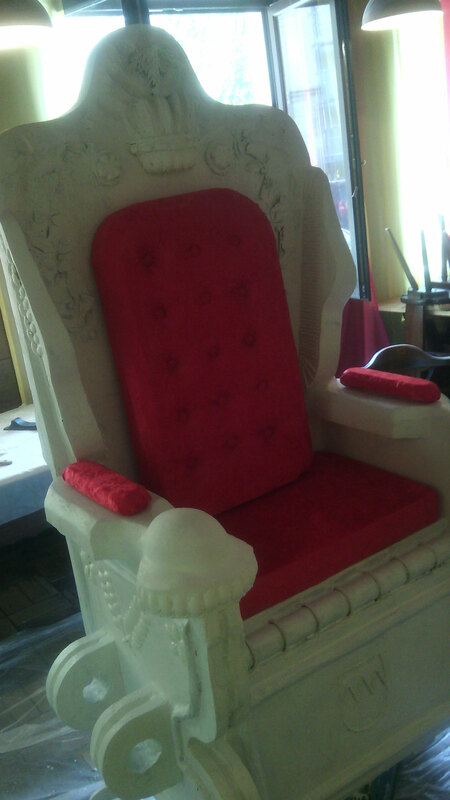 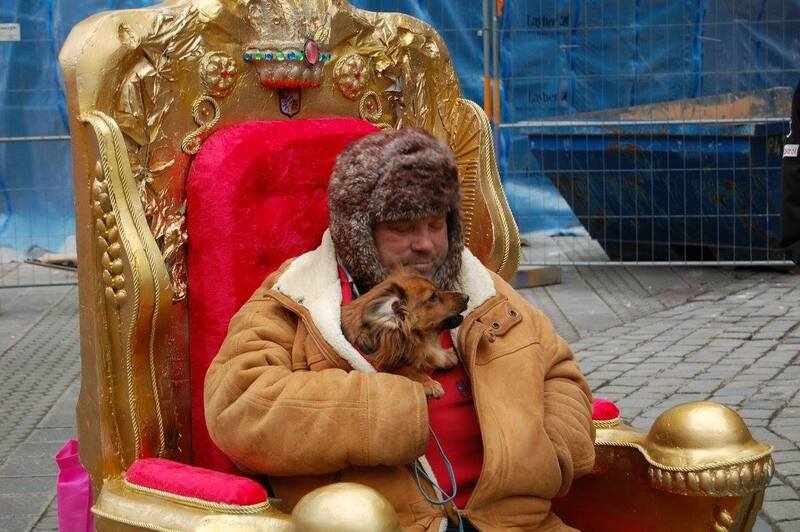 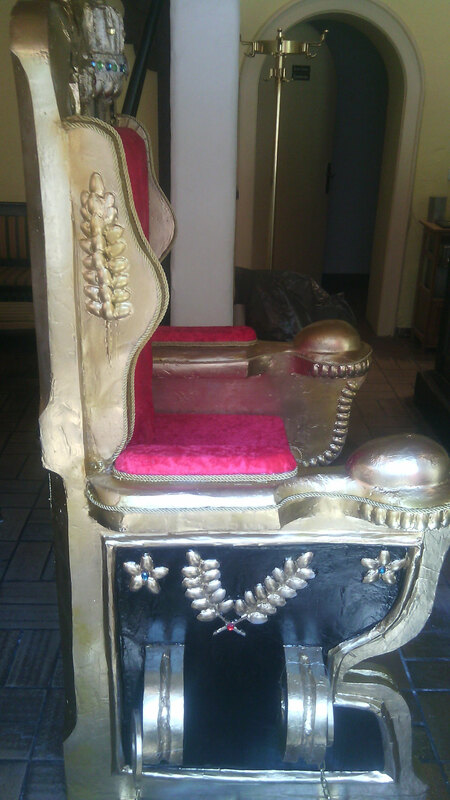 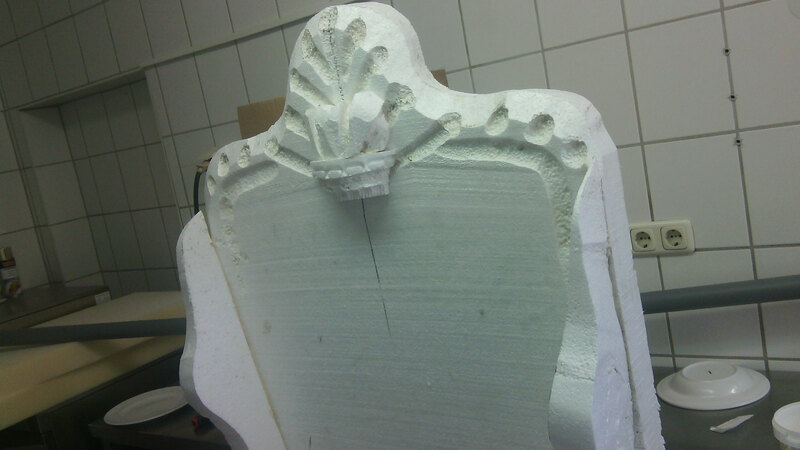 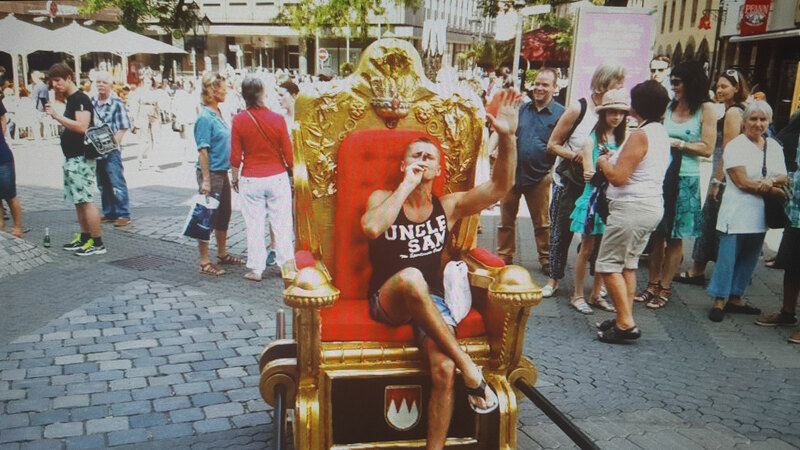 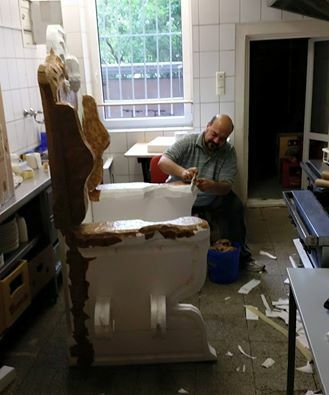 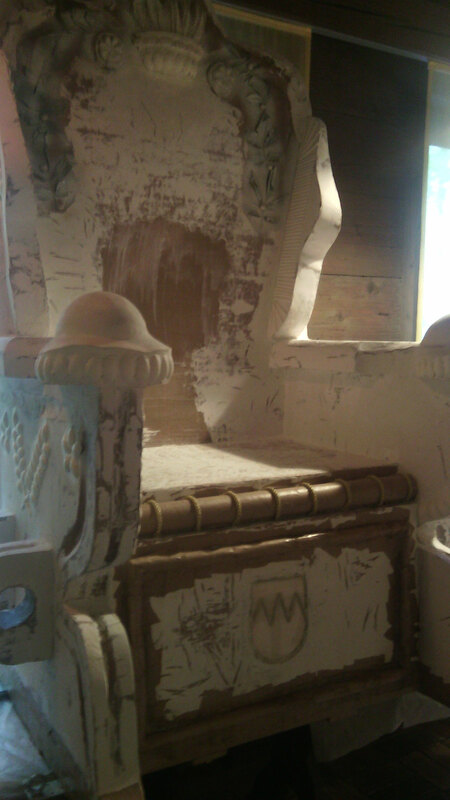 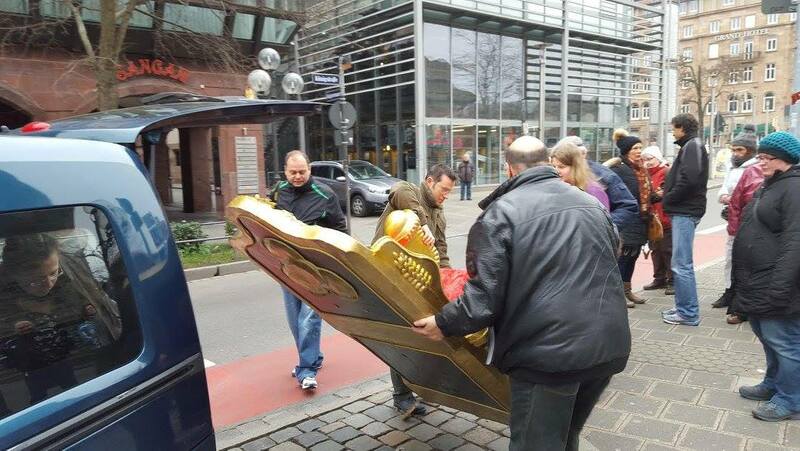 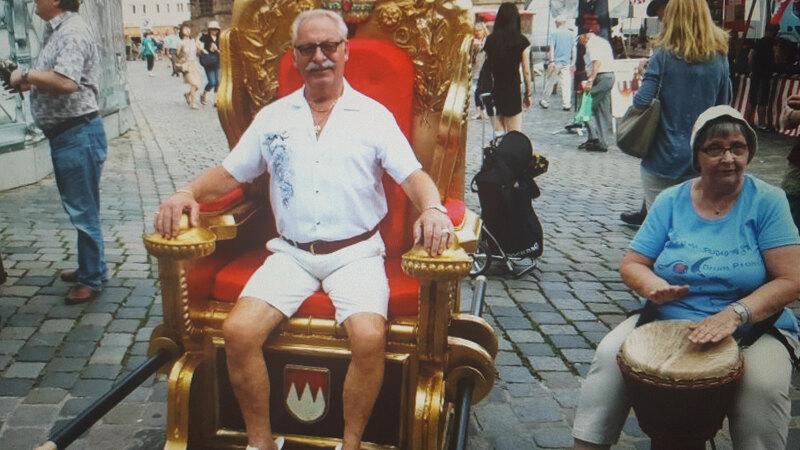 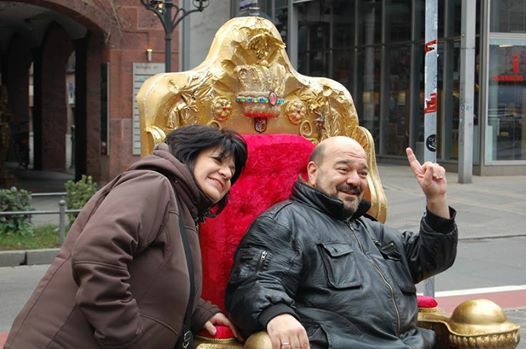 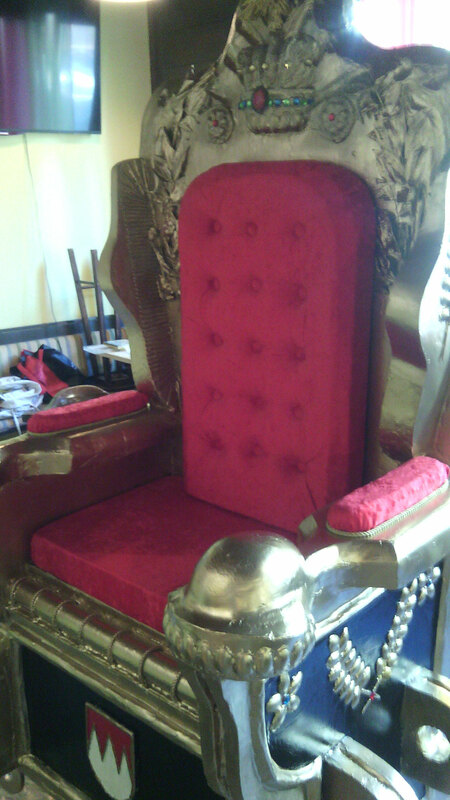 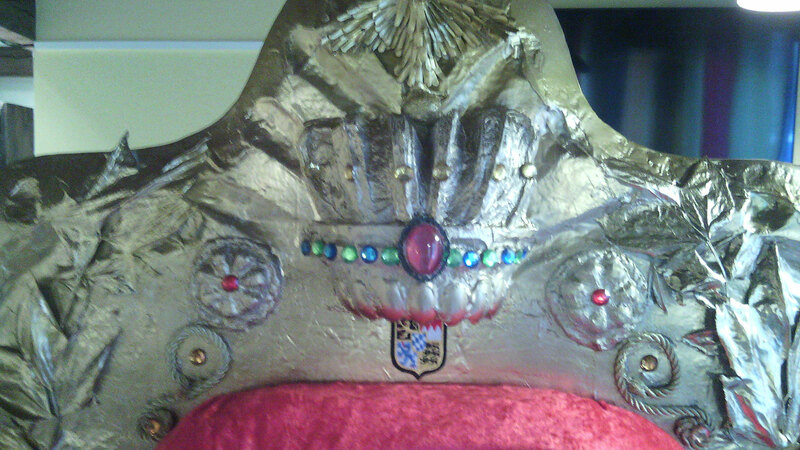 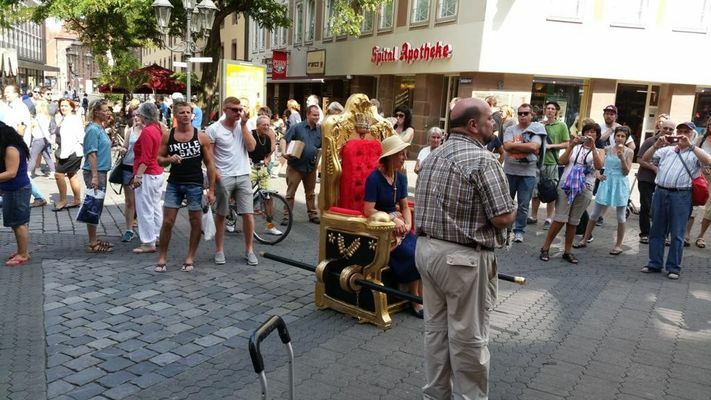 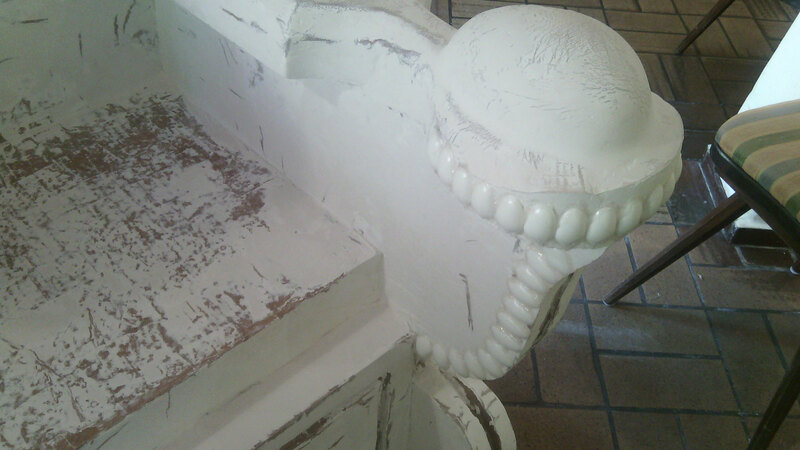 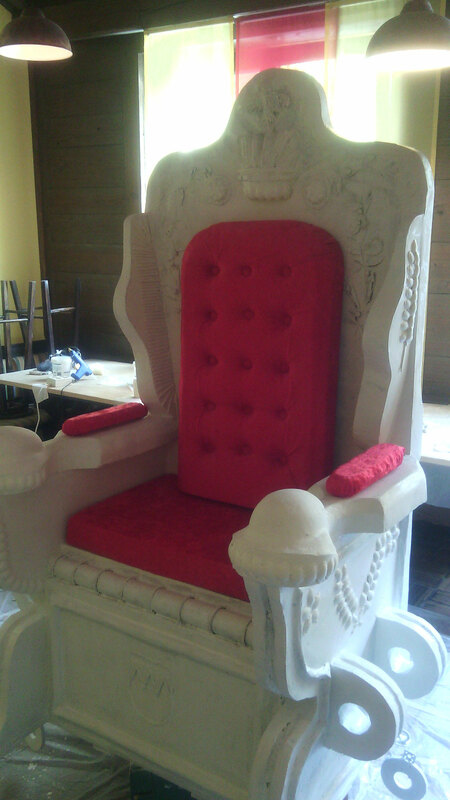 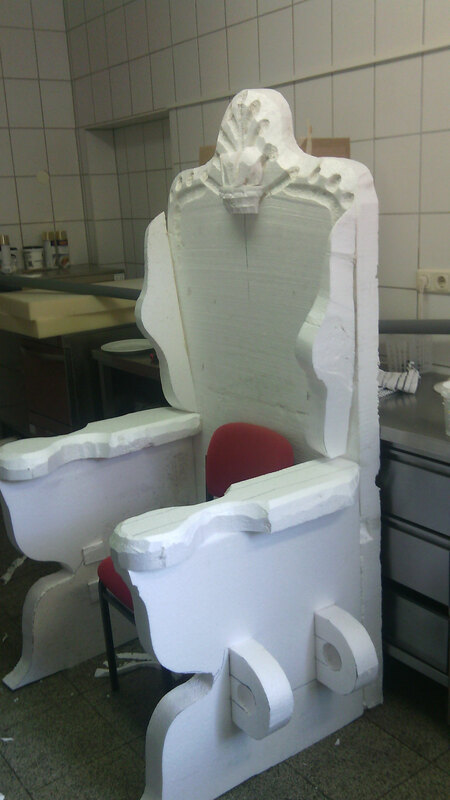 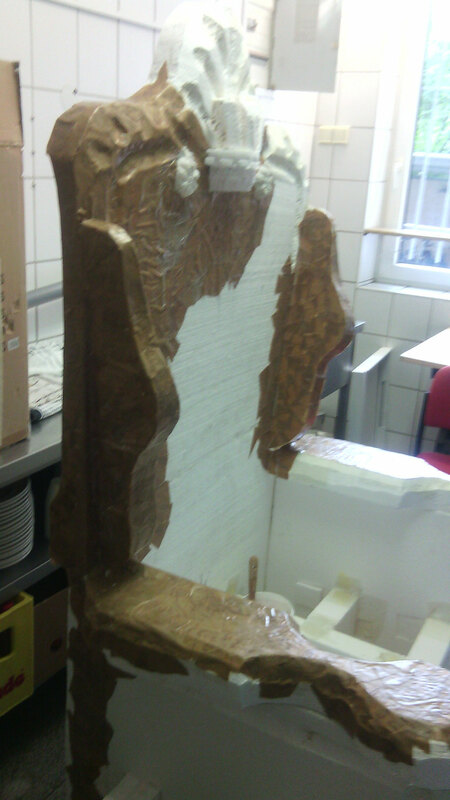 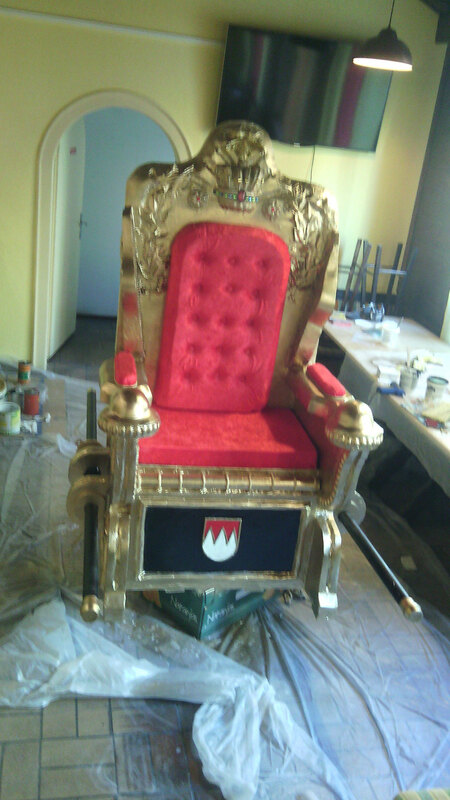 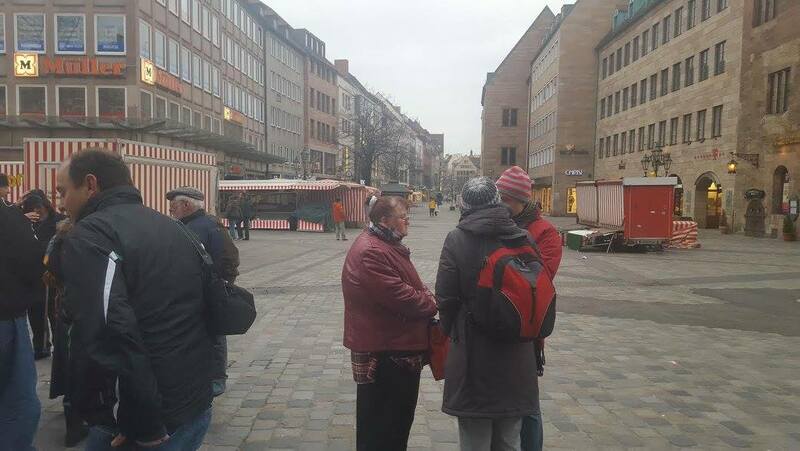 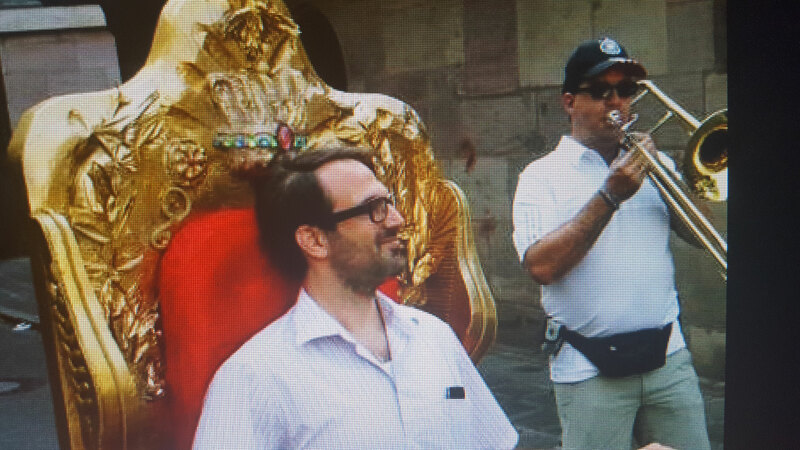 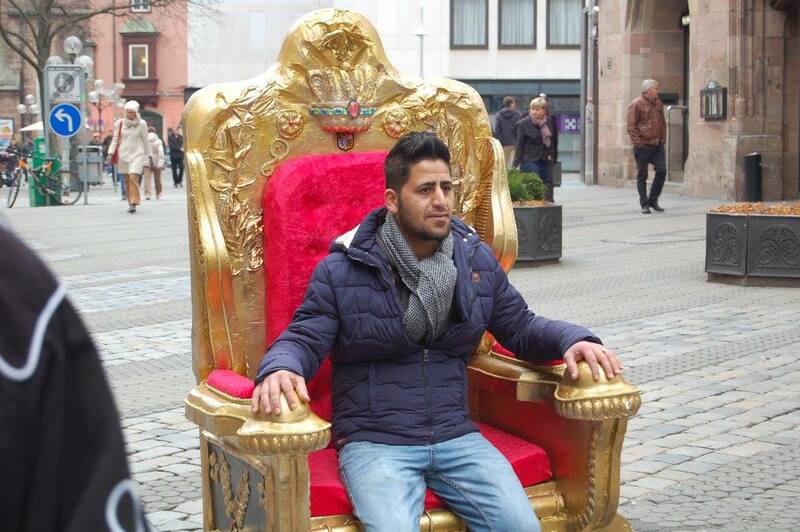 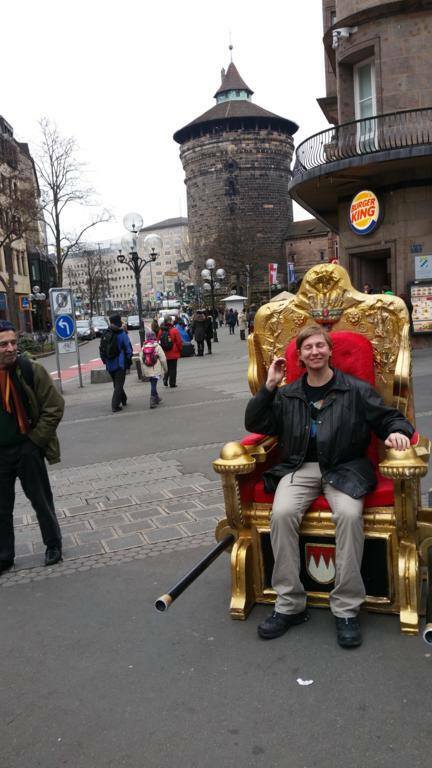 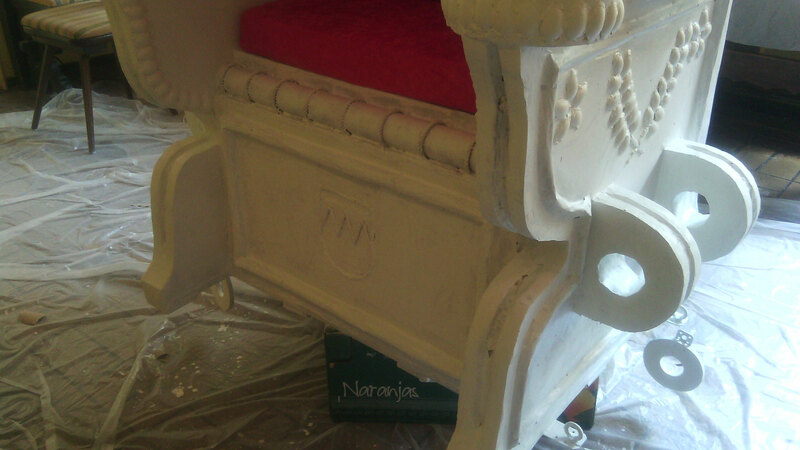 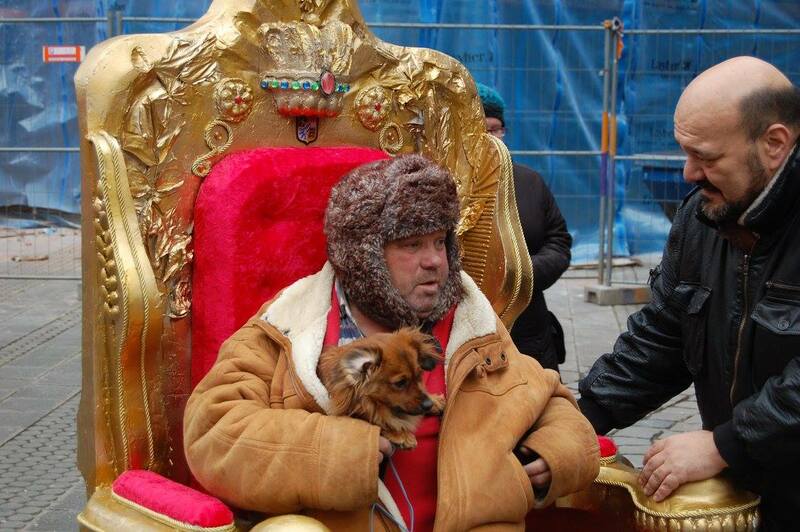 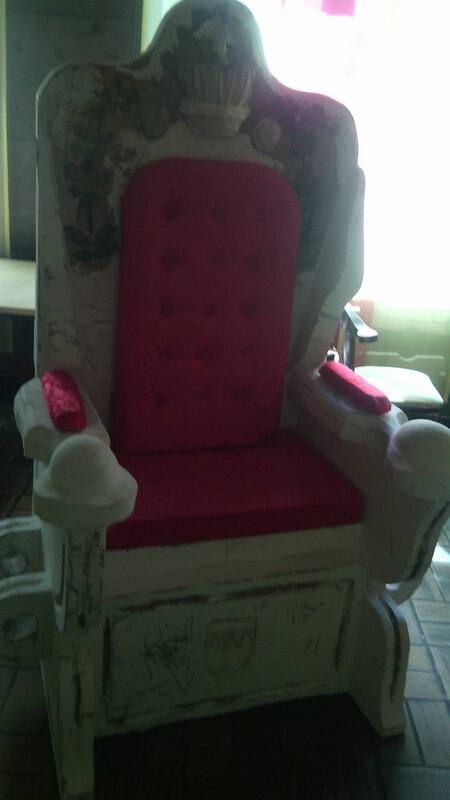 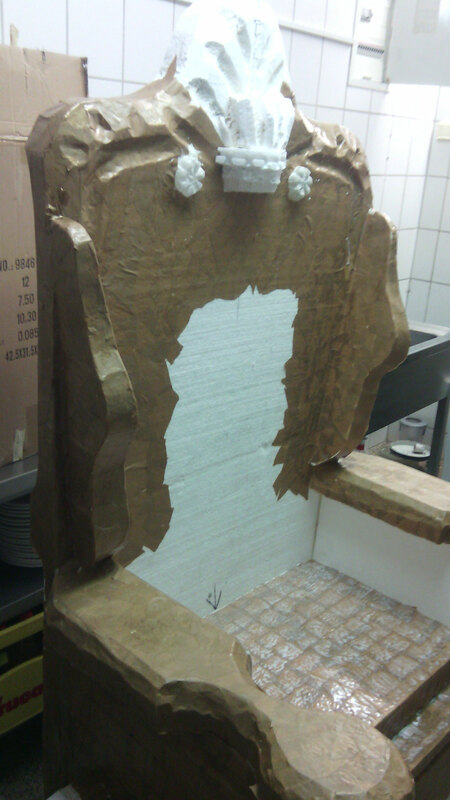 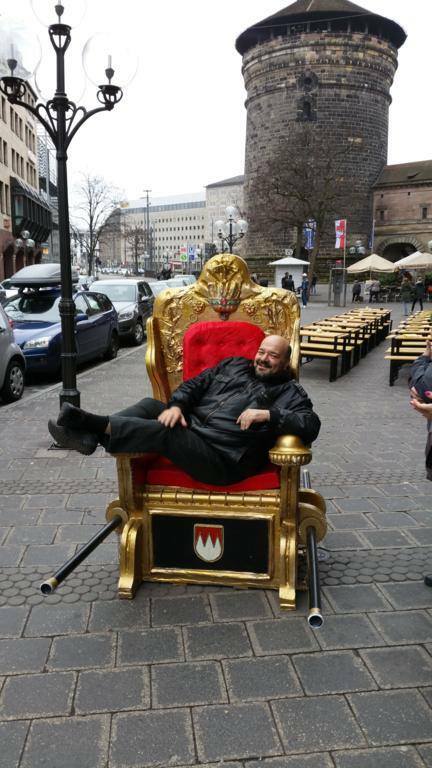 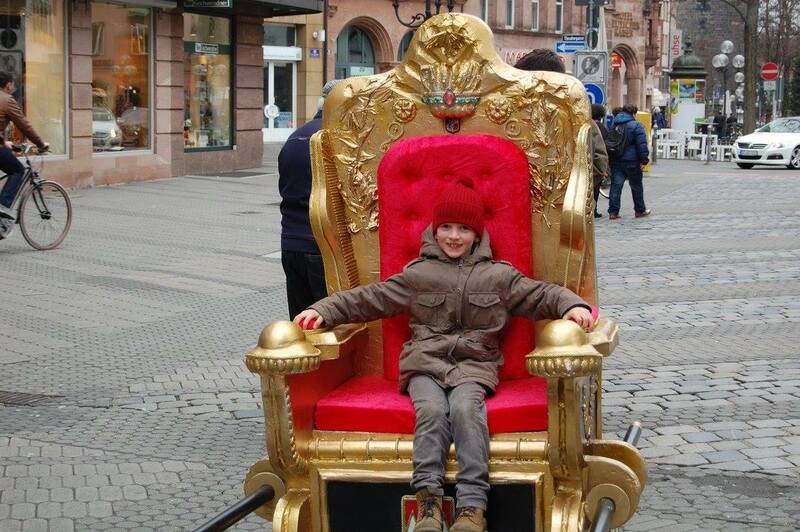 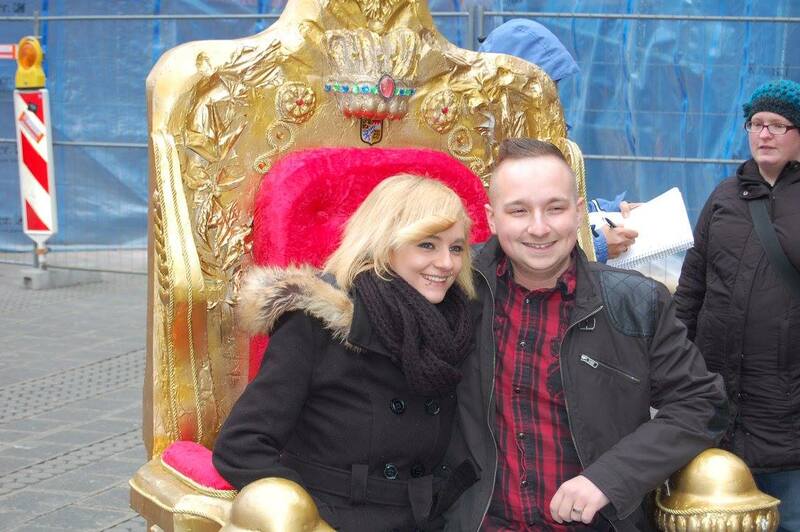 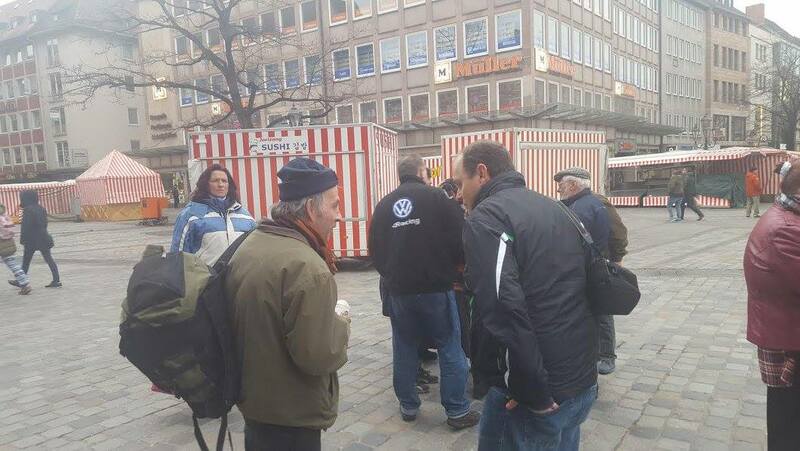 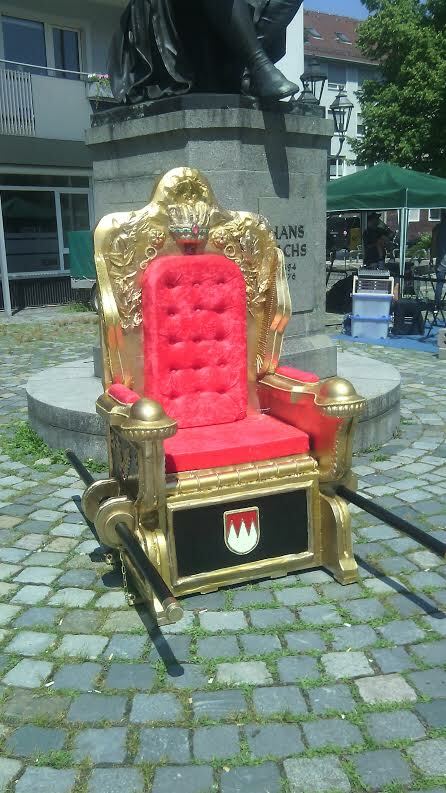 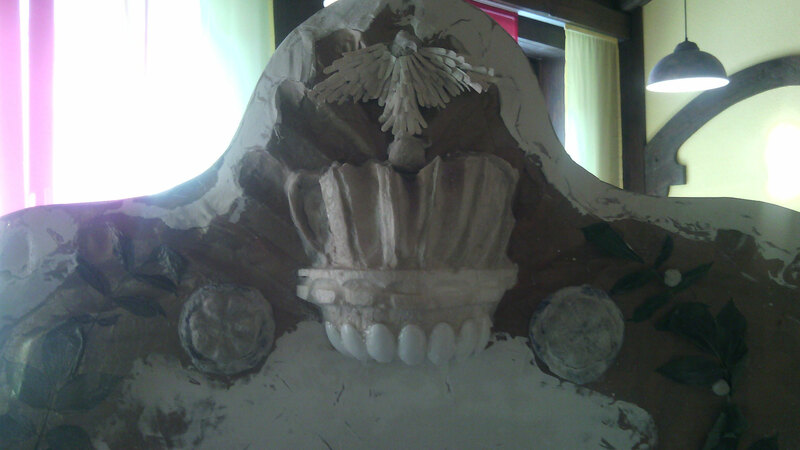 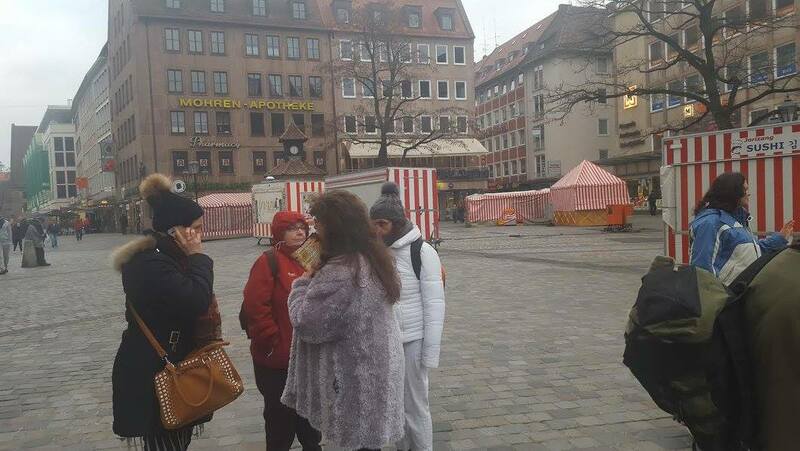 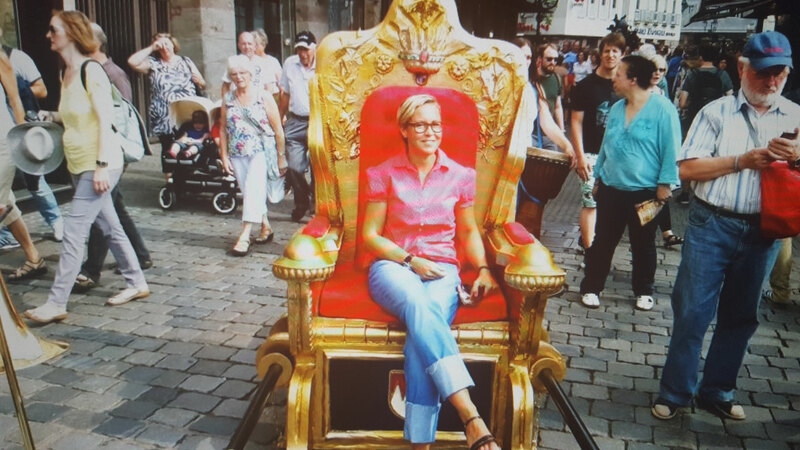 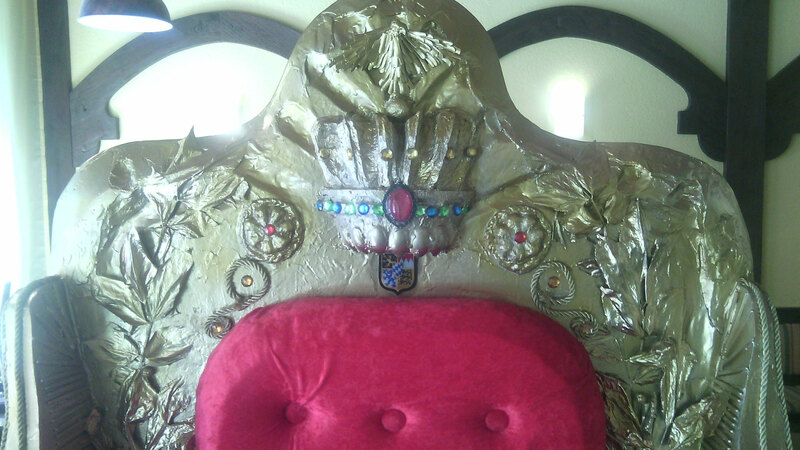 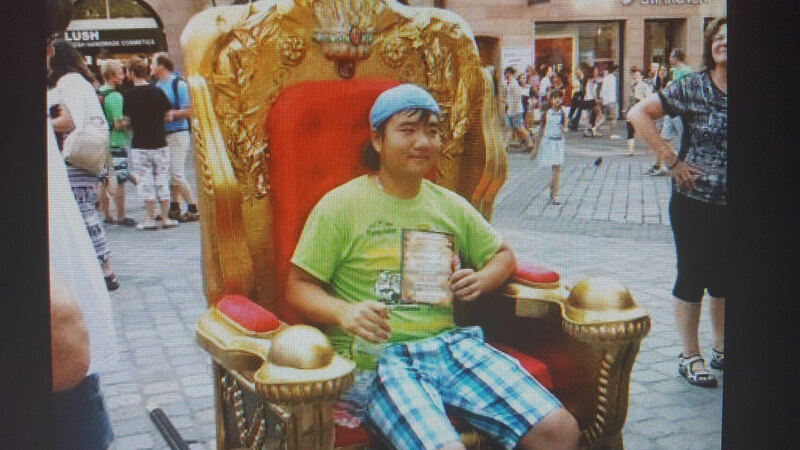 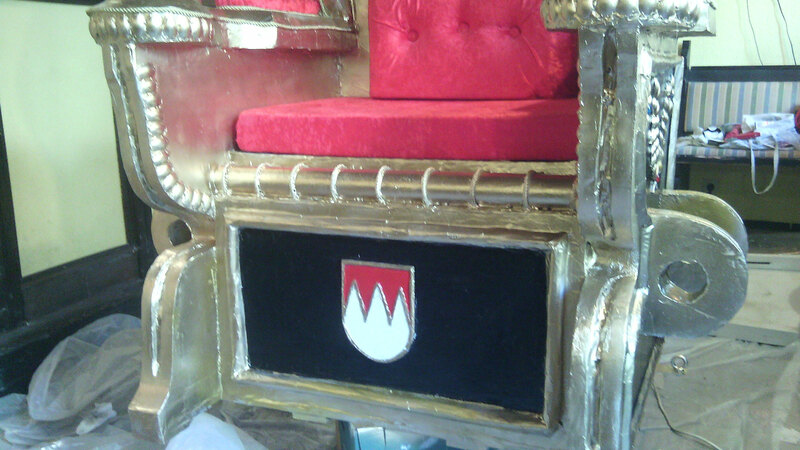 we "moved" a throne through the Nürnberg ´´ s down town. 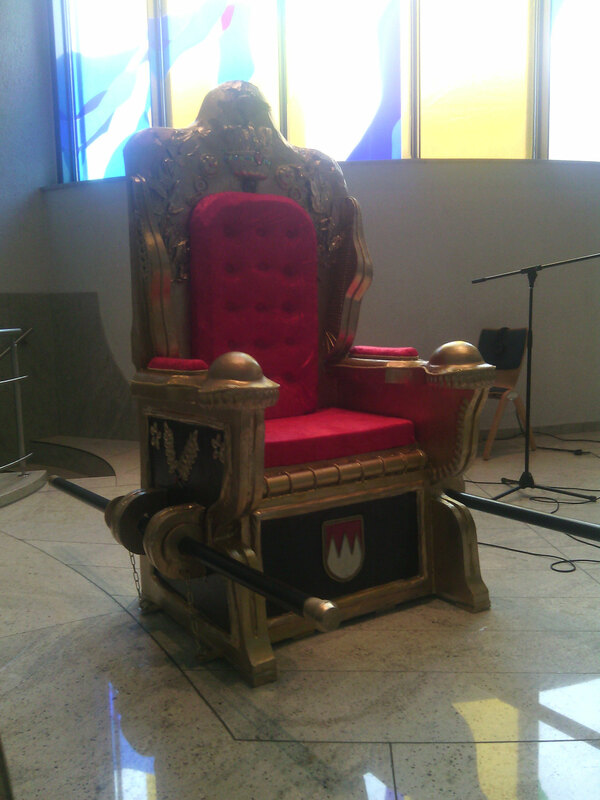 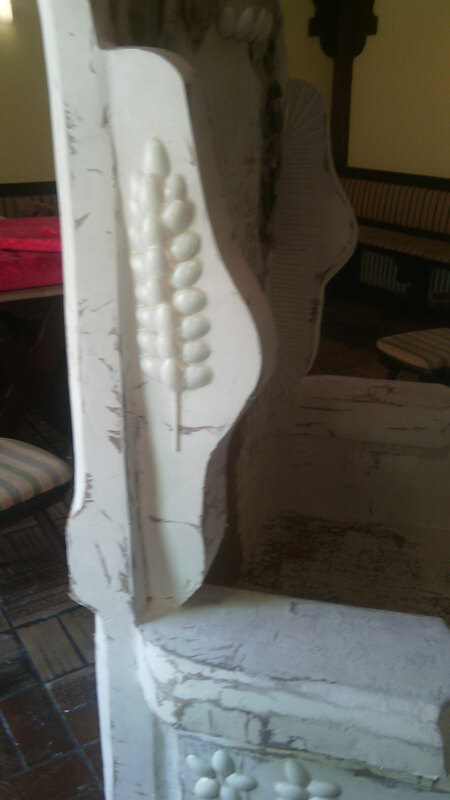 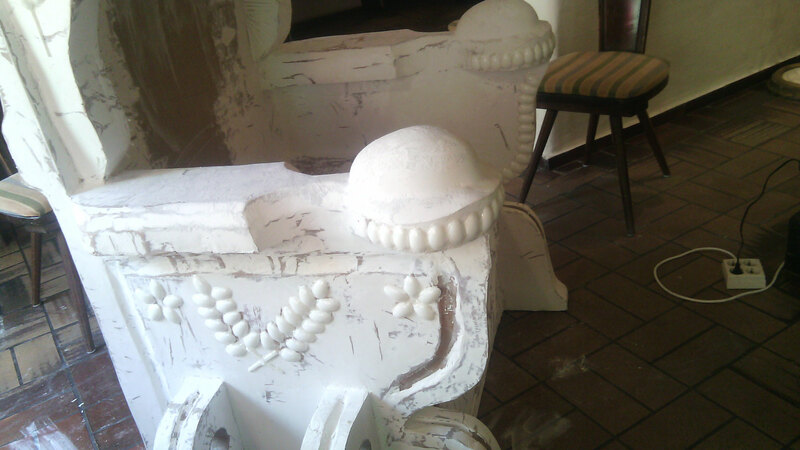 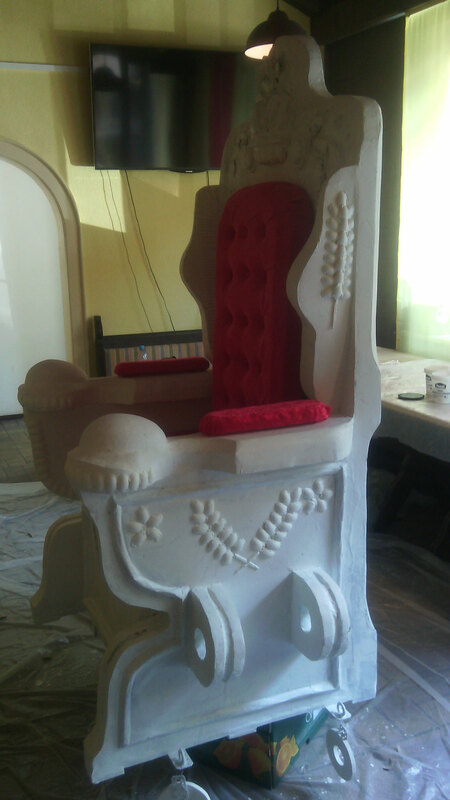 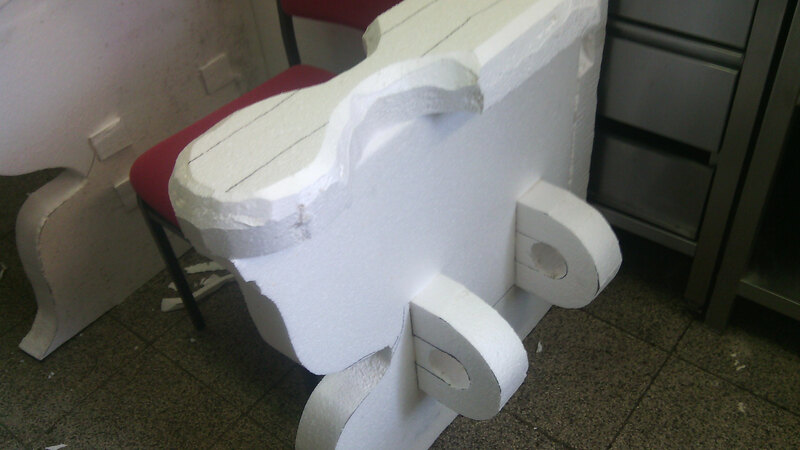 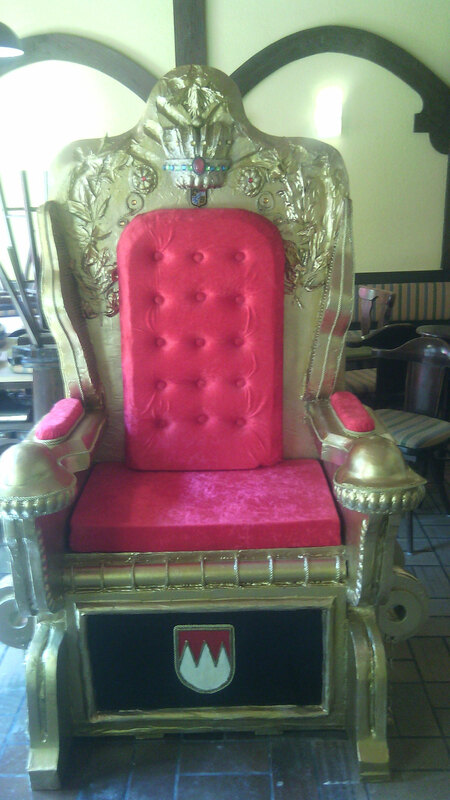 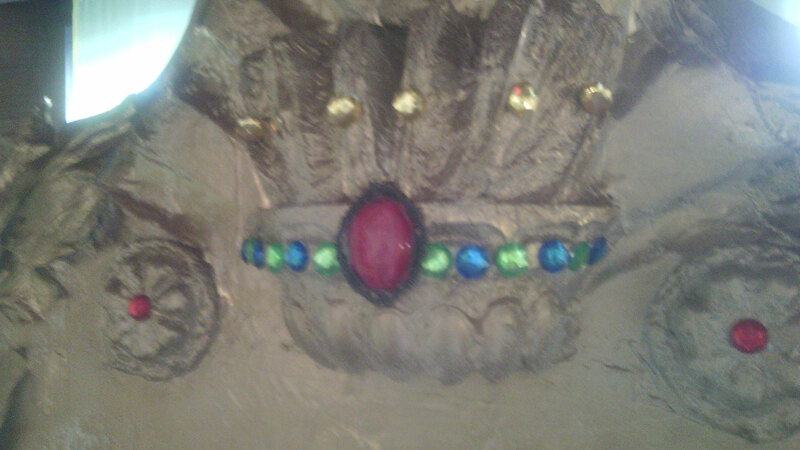 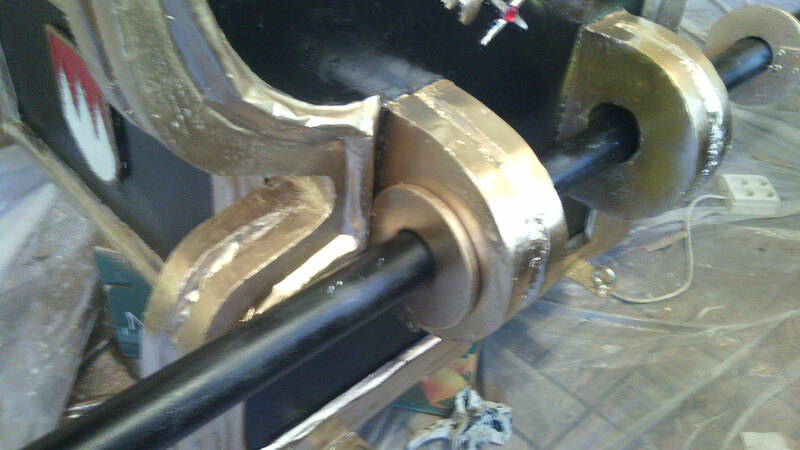 We built up a large throne with styropor and silicon and we invited the people to have seat on the throne with the argument "we all can be a child of the King"
Everybody wanted to sit there and to take a "selfie" But once the were there we explained: "Only Jesus is worthy to sit on the throne of our lives."